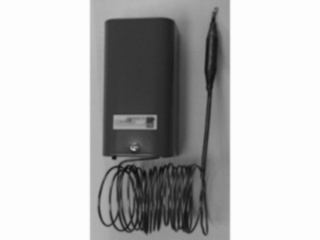 REMOTE BULB TEMP CONTROL; 6' CAP; SPST; NEMA 1; 3/8 X 4" BULB; OPEN LOW -30/+50 F 1 6' DIFF. REMOTE BULB TEMP CONTROL; 6' CAP; SPST; NEMA 1; 3/8 X 5" BULB; OPEN LOW 20/80 F 1 DIFF. 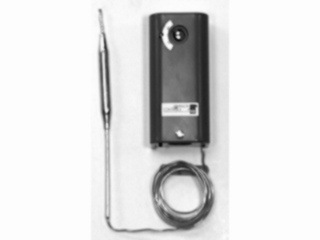 REMOTE BULB TEMP CONTROL; 6' CAP; SPST; NEMA 1; 3/8 X 4" BULB; OPEN LOW -30/+100F 1 DIFF. REMOTE BULB TEMP CONTROL; 8' CAP; SPST; NEMA 1; 3/16 X 6" BULB; OPEN 200/550 F 1 DIFF. REMOTE BULB TEMP CONTROL; 3' CAP; SPST; NEMA 1; 3/8 X 5" BULB; OPEN HIGH 30/110 F 1 DIFF. 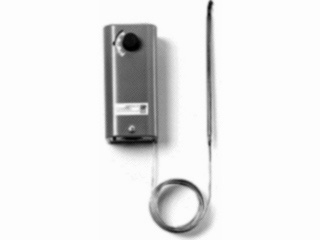 REMOTE BULB TEMP CONTROL; 6' CAP; SPST; NEMA 1; 3/8 X 3-1/2" BULB 100/240 F 4 DIFF. 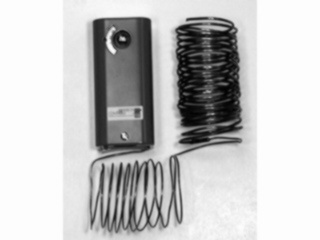 REMOTE BULB TEMP CONTROL; 6' CAP; SPST; NEMA 1; 3/8 X 5-1/2" BULB 50/200 F 1 6' DIFF. 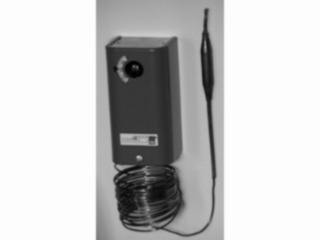 REMOTE BULB TEMP CONTROL; 6' CAP; SPST; NEMA 1; 3/8 X 5" BULB; OPEN HIGH 0/43 C 1 6' DIFF. 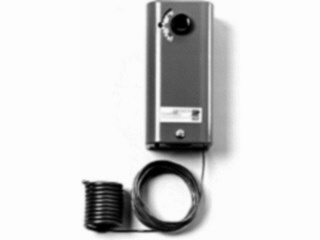 REMOTE BULB TEMP CONTROL; 15' CAP; SPST; NEMA 1; 1/4 X 5" BULB; OPEN HIGH 90/325 F 1 15' DIFF. REMOTE BULB TEMP CONTROL; 12" CAP; SPST; NEMA 1; 3/8 X 3-1/2" BULB; OPEN H 100/240 F 4 DIFF. 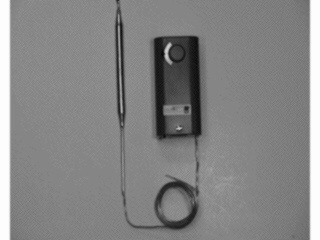 REMOTE BULB TEMP CONTROL; 1.8 M CAP; SPST; NEMA 1; 4.8 MM X 152 MM BULB 100/290 C 1 2.4 DIFF. 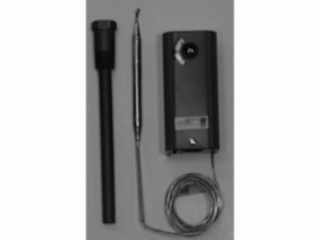 REMOTE BULB TEMP CONTROL; 6' CAP; SPST; NEMA 1; 3/8 X 5" BULB; OPEN HIGH 30/110 F 1 DIFF. 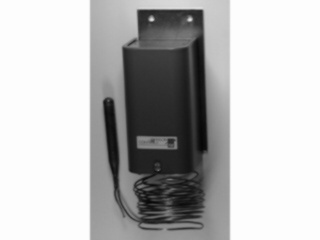 REMOTE BULB TEMP CONTROL; 6' CAP; SPST; NEMA 1; 3/16 X 9-1/2" BULB; OPEN H 100/300 F 1 DIFF. 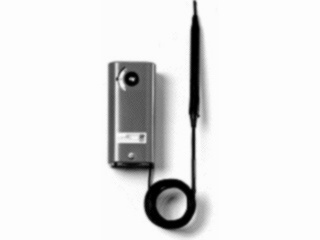 REMOTE BULB TEMP CONTROL; 7' CAP; SPST; NEMA 1; 3/8 X 4" BULB; OPEN LOW -30/50 DEG F 1 DIFF. REMOTE BULB TEMP CONTROL; CAP 1.8 M; SPDT; NEMA 1; 9.5 MM X 102 MM BULB -35/40 C 1 DIFF.